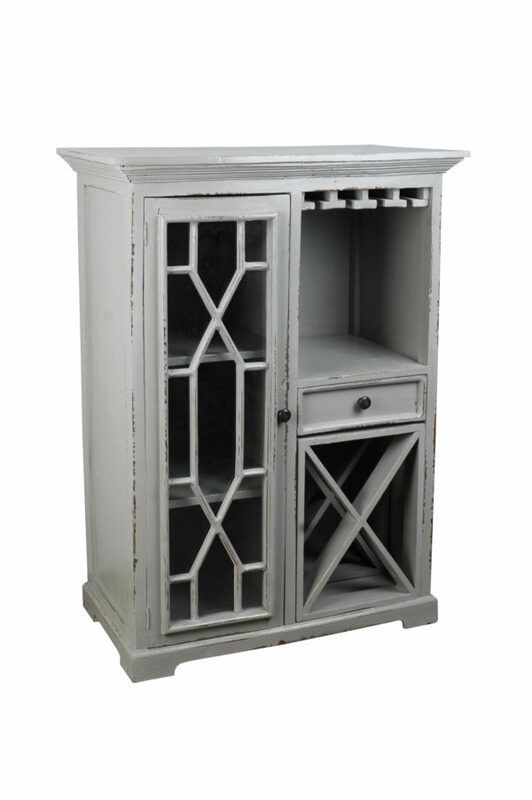 Perfect for the home that loves to entertain, the rustic warmth of distressed and painted wood gives this wine server casual shabby chic appeal. Make a bold statement in your kitchen, dining room, den, game room, wherever you have items to store and wine to pour! Top this wine and liquor cabinet with decorative ice bucket and seasonal floral, create a home bar that keeps your friends coming back for more!